It’s easy to make money, when you are a tax avoider. And that’s just what Amazon CEO Jeff Bezos does. Along with ripping off the U.S. postal system for billions annually with below-cost shipping, Bezos gets another share of taxpayer money by avoiding taxes. His methods are legal, but are they moral? For years Amazon lost money. So they carried over their tax credit for years. Now they earn billions annually. Yet they don’t pay taxes due to the carry-forward losses from previous years of losses. 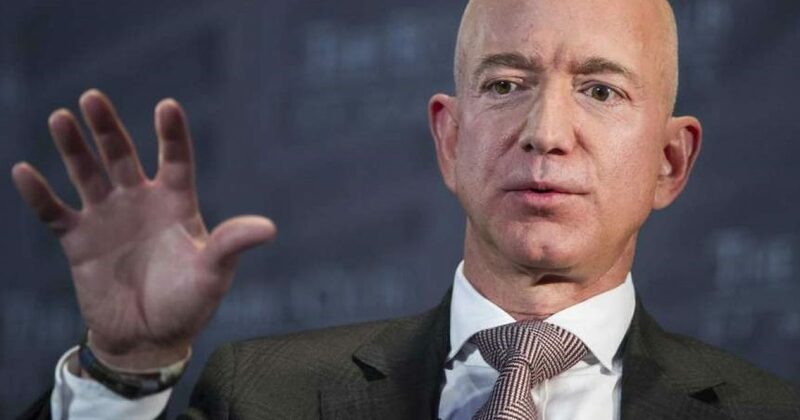 If Bezos were the true philanthropist as he prescribes to be, then he would have Amazon pay it’s “fair share” of taxes. However, he doesn’t do that. Keep in mind that the man Bezos hates, namely President Donald Trump had the same opportunity to use his tax loss credits, but refused to do so. Recall this information became public once Rachel Maddow decided to do her “Al Capone’s Vault” expose of Trump’s taxes. In that situation, it turned out that Trump had paid over $28 million in taxes, and again chose not to use the deferred tax credit. He recently issued a challenge to other retailers to match Amazon’s pay and benefits. The challenge clearly targeted Walmart. Walmart’s Executive Vice President of Corporate Affairs Dan Bartlett responded with this tweet. Further, he shared an article about Amazon paying $0 in federal taxes on more than $11 billion in profits last year. A bit more explanation of the numbers. Walmart set their minimum wage to $11 an hour in January of last year. Amazon responded later in the year, hiking its minimum wage to $15 in November. Walmart added that its average worker earns $17.55 an hour with wages and benefits. The reason why both these companies gave raises to their employees lies with Trump’s tax plan.